Eating. It’s one thing we all have in common and is something that brings us all together. Meal times at Guardian Early Learning – Richmond are no different. It all starts with breakfast – arguably the most important meal of the day – where children and their families (and extended families!) are invited to share in breakfast together at the centre. Each day an assortment of cereals, toast, spreads and fruit are on offer and provides children and families with a nutritious start to the day. This community approach to breakfast is unique to Guardian and is included in the daily fee. It’s a valuable experience for children and is a great way to foster a friendly connection to the centre and allows children to settle into the day. A shared breakfast also gives families the chance to spend valuable time together and chat about the upcoming day – something that can easily be lost in the morning rush. Our open plan kitchen encourages community and open conversation and is beneficial to children and parents alike. Here we discuss children’s likes, dislikes and experiences and even share recipes and tips. It’s a true communal experience. Featured in the Herald Sun on Monday 6th March, the nutrition program at Richmond is already making waves in the local community. 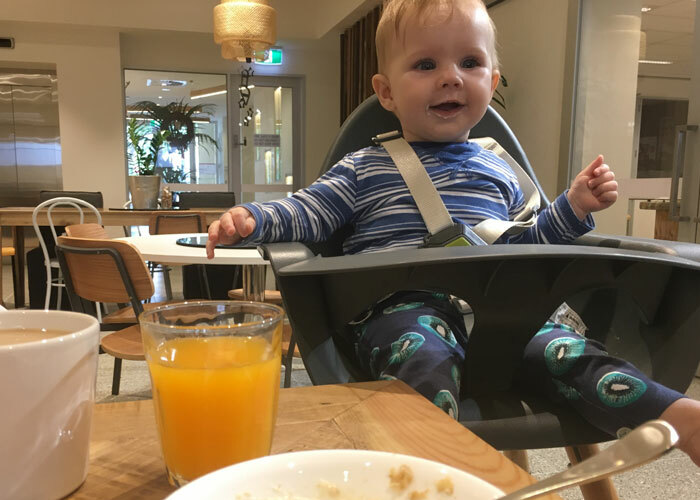 In the article, Dietitians Association of Australia spokeswomen Lauren McGuckin said, “Having a broader range of food from a young age is going to significantly improve their little palette.” – and we couldn’t agree more! Guardian Richmond has a rotating seasonal menu using fresh produce from the kitchen garden wherever possible. The joy in seeing watching something grow such as such as a tomato going from green to red, children are much more inclined to taste them and learn where food comes from. Harvesting everything from rosemary, tomatoes and lettuce to helping to prepare the food (safely cutting herbs, mixing and measuring) to then eating the meals, the children experience a complete meal time experience. Through these experiences, not only do children develop an understanding of where food comes from, they also learn valuable practical and numeracy skills through intentional teaching (a key focus of Guardian’s curriculum). Our educators are supported through training on strategies to purposefully pull out deeper thinking and interest in these kinds of experiences. 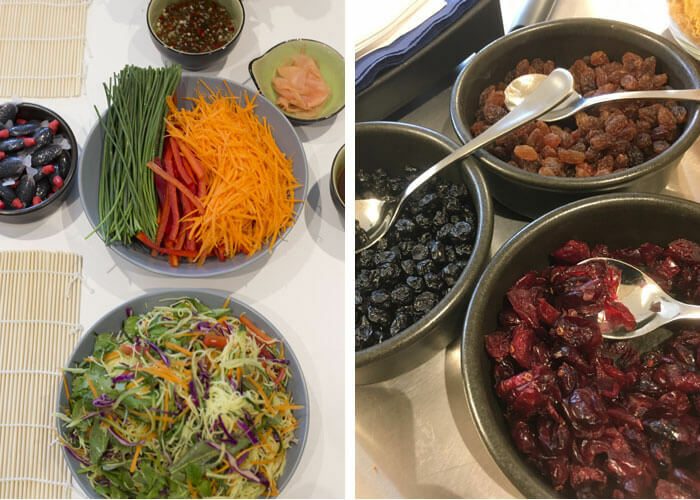 Drawing from cultural cues from their local community, Guardian Richmond promotes the development of children’s palettes and promotes exploration of food and flavours through meal times. Ginger, chilli, and coriander have featured in some meals with almost nothing off limits! 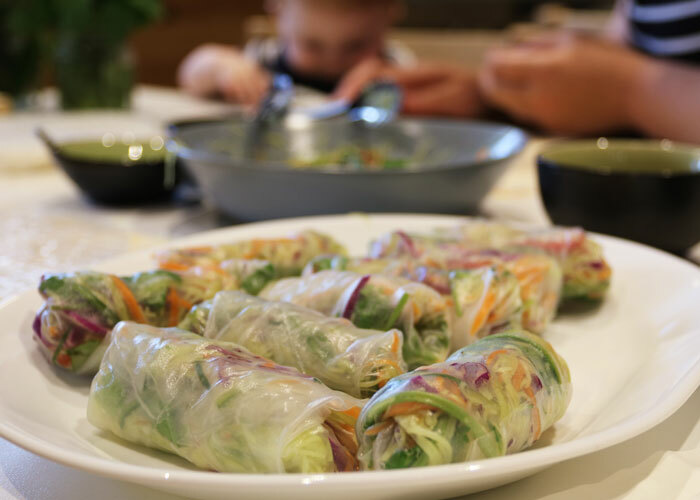 Benita, the on-site cook, has whipped up Vietnamese-style lunches including Vietnamese chicken coleslaw, Vietnamese beef, noodle and broccolini salad, rice paper rolls and Asian-inspired prawns. Meals are served deconstructed so the children have agency over what they want to eat with educators on hand to encourage trial, exploration and portion size. Using non-shattering Corelle, children are given the opportunity to serve themselves. This teaches them how to use the various serving implements properly and adopt a respectful approach to food and eating with others. We also offer progressive meal times in respect to the child’s choices and to allow for the different times children want and need to sleep. food, as well as the origins of the food to broaden their understanding of people and cultures. Taste buds change all the time, and children are encouraged to discover if their own taste buds have changed! This community approach to meal times creates an excellent culture within the centre and provides rich (and delicious) experiences for children. To experience this for yourself, head here to book yourself in for a tour.